We obtain Personal Information from you — such as your name, address, account number, shopping history, e-mail address and telephone number — when you give us that information when shopping or using our services. For example, we may obtain Personal Information about you when you (i) register to use our website; (ii) place an order with us; (iii) participate in our gift registry programs; (iv) participate in advertising promotions or sweepstakes; or (v) subscribe to HamiltonsFireplaceHomePatio.com E-mail Updates (our e-mail newsletter). We also may collect Personal Information when you correspond or speak with us. We may also collect Personal Information about you from third parties, such as demographic or marketing firms, to improve our marketing efforts. We use Personal Information to conduct our business and to provide you with high quality products and services. We do not sell or rent the Personal Information we obtain through the Web Site. If you want to opt out of getting promotional emails from Hamilton’s, see Section 5 below. To provide you with quality service, we do not disclose the Personal Information we collect with service providers that perform marketing, promotional and other services for us. Service providers who perform services on our behalf are contractually bound to use your Personal Information only to help us to provide you with products and services from Hamilton’s. We may also disclose your Personal Information when we believe that it is required by law or necessary to operate our business (e.g., to our attorneys, auditors, or accountants), to protect your rights, to protect our rights, or to protect the rights of others. We may also disclose your Personal Information as part of our customer or contacts list if another company acquires Hamilton’s or a portion of our business. A “cookie” is a small data file stored by your Web browser on your computer’s hard drive. It allows Hamilton’s to recognize your computer (but not specifically who is using it) upon entering the site. A cookie cannot retrieve any other data from your hard drive, pass on a computer virus, or capture your email address. If you are shopping HamiltonsFireplaceHomePatio.com and are having difficulty adding items to your shopping bag or completing your order, please check your privacy settings in your browser. We find that “Medium” Privacy Settings will optimize your online shopping experience at HamiltonsFireplaceHomePatio.com. If you are currently using the “Medium High” or “High” privacy settings, you can improve your online ordering experience if you override your current cookie handling practices for specific websites, including HamiltonsFireplaceHomePatio.com. Please click here for instructions on how to override your normal privacy/cookie handling practices. If you prefer not to change your privacy settings or override your cookie handling practices, you can, as always, place your Hamilton’s order by phone at 901.268.6392. Un-check the box for “Send me e-mails about store specials.” Please allow up to ten days for us to process your request. If you “opt out” of receiving promotional emails from us, the only e-mails you will receive will be (I) about transactions that you initiate (such as to confirm orders you submit on our Web Site, inform you about your order status, respond to your customer service inquiries and answer any other questions you send us); (II) about matters affecting your Personal Information; and (III) in connection with certain services or promotions for which you have registered, such as our gift registry program. When you visit our site, we collect, via cookies as described above, information about your visit to our site, including what pages you may have visited. This information contains none of your Personal Information. We currently use Google Analytics to compile this information in a manner which is helpful to us in analyzing visitors’ use of our site. Google Analytics also uses this information, via a cookie placed on or recognized by your browser, to place advertisements for our products on other websites that you visit after your visit to HamiltonsFireplaceHomePatio.com. 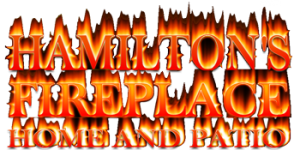 These advertisements may be based upon the pages you visited during your visit to HamiltonsFireplaceHomePatio.com. You may opt out of our use of your browsing history information in this manner at any time by visiting Google’s Ad Preferences Manager. You may also choose to install the Google Analytics Opt-Out Browser Add-on, which if installed will prevent Google Analytics from using information obtained from your visit to HamiltonsFireplaceHomePatio.com. Governing Law, Dispute Jurisdiction: The laws of the State of Tennessee, excluding its choice of law principles, govern all matters arising from or related to the Web Site, including your access and use, and any Internet transaction between you and us. Children’s Privacy: We do not knowingly request or collect personal information from any person under 13 years of age through this Web Site without prior verifiable parental consent. If we become aware that an individual is under the age of 13 and has submitted any information to us through this Web Site for any purpose without prior verifiable parental consent, we will delete his or her information from our files. Last Revised: Oct 10, 2013.